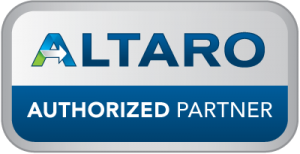 Altaro Hyper-V Backup is the easiest to use, quickest to set up and most competitively priced Hyper-V backup software around. With practical, powerful features such as offsite backup, remote management capabilities and Exchange item level restore, it’s never been easier for administrators to manage backing up Hyper-V VMs, without breaking the bank. Veeam® Software, an Elite VMware Technology Alliance partner, provides innovative solutions for Modern Data Protection™ and virtualization management for both VMware vSphere and Windows Server Hyper-V.